Why it pays to pay attention!!! 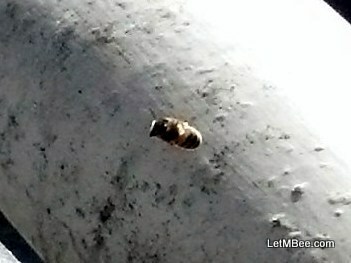 I have been trying to think about ways that new beekeepers can find locations to set swarm traps. I remember being new to this and how alien it all seemed that first year. Beekeeping was hard to “get into”. So you don’t know if you want to take the time building traps if there are no feral bees around??? Heck I understand. Depending on where you live you might be surprised though. They might just show up in the darnedest places. Bees are in this area. Becoming a beekeeper has made me A LOT more observant about the world around me. Bees are very good at keeping a low profile except under a few circumstances. Last week I stopped in the gas station to fill the car. 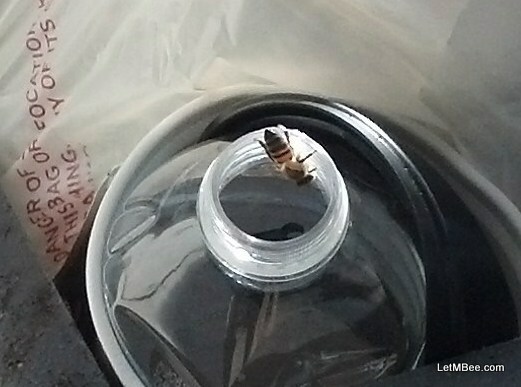 I saw motion around the trash can and on closer inspection realized that there were honeybees checking out a discarded pop bottle. 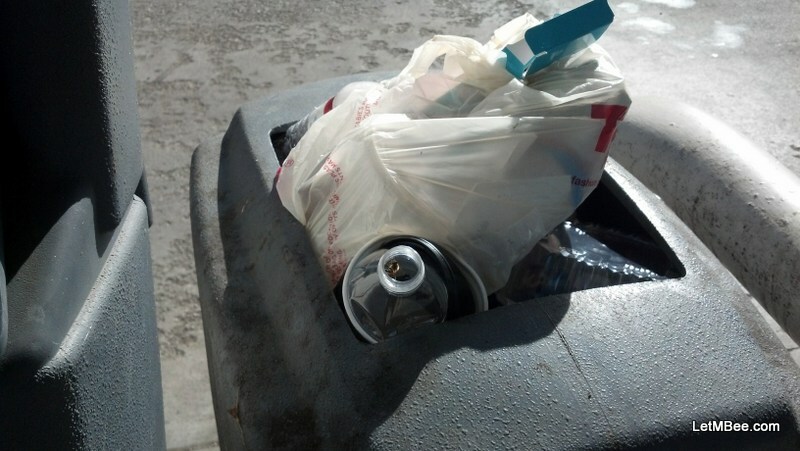 What is that flying to the trash can? HEY!!! 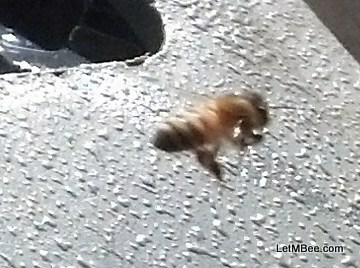 I didn’t know it but there are bees living somewhere near THIS gas station. Luckily I happen to have a Grand-Mother–In-Law that lives about 1.5-2 miles from there. I am going to have to sweeten her up a bunch, but I have plans for a trap outside her door. My wife doesn’t think this is going to happen, but I will work some magic. Are you out there looking for bees? This entry was posted in Feral Bees, HowTo, Posts, Swarm Trapping, What's going on.. and tagged bait hive, bee, beekeeping, feral bees, feral hives, Indiana beekepeing, swarm trap, swarm trapping. Bookmark the permalink. 2 Responses to Where Bees are……. My parents have a hive in the walls of their shed. They want it gone and I want bees. Is there a way to capture an existing hive? Jeff: Well there is a way, but you are going to need to find a beekeeper to get started. I don’t know where you live, but in the Northern Hemisphere it is too late in the year for this. In the Spring you can either attempt to cut them out (I don’t recommend this)….. OR you can attempt a trap out. There are some in-depth articles out there, unfortunately I haven’t written one yet. I recommend the method where you make a screen cone. You attach the cone on the house. The bees leave, but cannot get back in. In close proximity to the trap-out-cone you place a hive body with a frame of eggs or larvae that are fewer than 4 days old. You need to get a frame of eggs from an established beekeeper. I cannot tell larvae age by looking at them so I look for eggs. Next year I plan on using one of my first couple of swarms for a donor colony. That is where I will harvest my frames of eggs. If they want it gone right now going into winter, I don’t think you can get through this with a colony that will overwinter. If you have any other questions feel free to ask….